In the past, I would try to write about every album I encountered. These days, I listen to a lot of stuff, but I’ll only post an entry if something sparks a memory. As these statistics demonstrate, I’m leaving a lot out of this blog. The first and last purchases of the year are determined by the date of order. Pre-ordered items not yet shipped have already been taken into account. First purchase: Trio Bulgarka, The Forest Is Crying on vinyl. 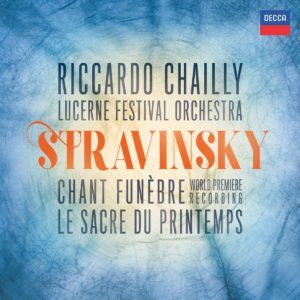 First purchase of a 2018 release: Igor Stravinsky, Chant Funèbre / La Sacre Du Printemps on CD. Last purchase: Yaz, You and Me Bothon vinyl. Initial release within the calendar year. Originally released prior to the calendar year but reissued within the calendar year. Initial release prior to the calendar year. Single titles purchased in multiple formats are counted individually. We’re reaching a point where the collector CD market is going to get more ridiculous as brick-and-mortar stores rid their CD inventory in favor of vinyl. Twice weekly visits to thrift stores account for the increase in my physical collection. It’s tough to beat a price point if $1 if you’re not too picky about condition, which I no longer am. I picked up a lot of Joni Mitchell this year, but I can’t say I’ve grown attached to most of those acquisitions. I’m starting to explore classic rock, more out of academic curiosity than actual appeal. I treat the Beatles like I treat Berlioz — as something I should know but not necessarily need to like. I don’t know if or when I’ll listen to the Miles Davis albums I picked up this year. Something about Miles eludes me. This site owes its existence to Russ Solomon, the founder of Tower Records who died on March 11 while watching the Oscars and drinking whiskey, according to reports. I’ve already mentioned how Pulse magazine shaped my listening habits. The magazine also inspired me to become a music reviewer. Jackson Griffith wrote columns for the magazine using a series of aliases. His writing style could be inscrutable and long-winded, but it was also humorous and, for avowed non-reader as myself back in high school, endlessly fascinating. When I started writing reviews for the school paper, I tried — with little success — to emulate Griffith’s style. By the time I reached college, the greater lesson sank in: write like yourself, not that I had a clue who I was. The advent of the Internet allowed me to become my own publisher, and I’ve been subjecting you poor readers to these opinions for some 18 years now. In college, I would receive promotional albums to review, but I could never get behind them. I could only write about items I bought with my own money, and back then, most of those items were bought at Tower Records. It was a lovely racket — Pulse spurred me to write about music, and Tower provided the product to do so. I would read stories about how Walmart was the only place in town to buy music, which horrified me. Department store music sections were temples of mediocrity compared to the cornucopia found at Tower. I counted my lucky stars I could take the bus to a store that would stock albums by John Zorn, Joan Tower and In Tua Nua. And while the Honolulu stores did their darnedest to have breadth and depth, Pulse hinted more was available that would never reach the islands. Early music e-commerce sites CD Now and Music Boulevard would chip away at Tower’s hold on my spending. After I moved to Austin, my allegiance shifted to Waterloo Records and Amazon. I would later discover Tower didn’t have a monopoly on the idea of far ranging stock. Waterloo, Amoeba, Music Millennium, Silver Platters — the experience of Tower lives on. 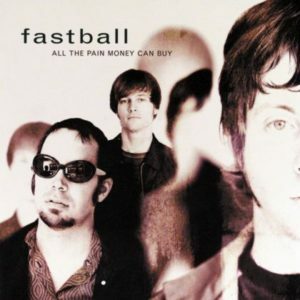 So thank you, Russ Solomon, for connecting a precocious teen-ager to a lifetime of music fandom, financial ruin and obscure punditry. First purchase: Sleater-Kinney, One Beat (2014 reissue) on vinyl. 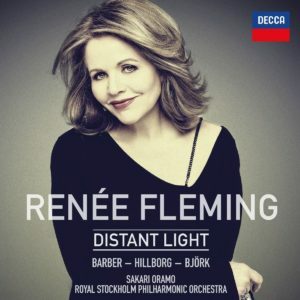 First purchase of a 2017 release: Renée Fleming, Distant Light on CD. Last purchase: Wilco, Summerteeth on vinyl. The death on Pádraig Duggan in 2016 spurred me to bring a lot of Clannad titles back into my collection. Cheap CDs from thrift shops account for some of the entries list, namely Chris Isaak and Steve Winwood. If I grouped this list by title, David Bowie wouldn’t rank as highly. Pretty much, I bought different versions of Ziggy Stardust. Midnight Oil and Depeche Mode concerts made me want to dig further into back catalog I hadn’t yet explored. 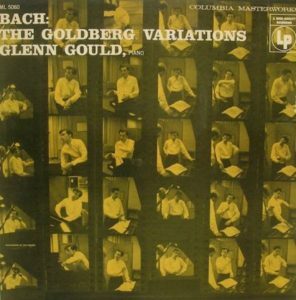 First purchase: Glenn Gould, Bach: The Goldberg Variations (1955) on vinyl. First purchase of a 2016 release: Henryk Górecki, Symphony No. 4 on CD. Last purchase of a 2016 release: Meredith Monk, On Behalf of Permanence on CD. Last purchase: George Michael, Listen Without Prejudice, Vol. 1 on CD. These number pretty much bear out that I’m pretty much out of touch with anything new happening. Catalog purchases took up 70% of my purchases in 2016. The death of Prince sent me on a mission to catch up with his work. The news of a new album from Sting gave me a chance to reconsider his work from the late ’90s onward. Cheap CDs from the Lifelong AIDS Alliance Thrift Shop allowed me to save on Internet bandwidth. Madonna’s presence in my collection grew due to a combination of a vinyl reissue campaign and some lucky purchases from Lifelong AIDS Alliance Thrift Shop. In fact, encountering the Lifelong Thrift Shop stall during Gay Pride had an outsize influence on my purchases. From street level, the shop looked like it sold only vintage clothes. I didn’t realize the lower level had a room of CDs and vinyl. 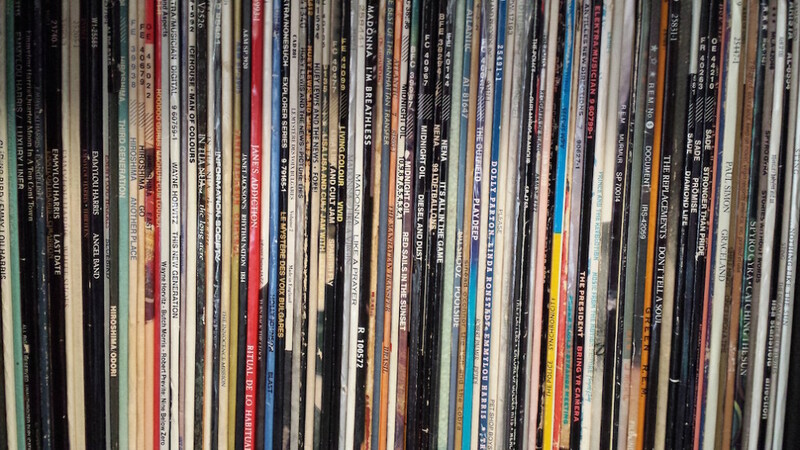 No, that linkbait headline isn’t talking about the current cachet of vinyl records. It’s comparing compact discs to vinyl in the 1990s, when the former started to edge out the latter in retailer shelf space. I saw it happen gradually throughout my years in high school, and it’s weird seeing history repeat itself on the very thing that ushered in that change. Week after week, a row of record bins in my favorite music shops would yield to compact discs. By the time I graduated, CDs had nearly taken over entire stores. Classical sections had surrendered months beforehand. In 1992, all stores reconfigured their bins exclusively for compact discs. Remember the longbox? It was a stop-gap measure to allow CDs to be stocked in bins designed for vinyl records. That was the day vinyl was supposed to die. Of course, it didn’t die. Vintage vinyl migrated to thrift shops, second-hand stores and special conventions. Independent bands kept the format alive all throughout the compact disc’s reign. I’m not going to analyze why the format rebounded. I’m just going to be thankful it did. But turnabout is fair play for the compact disc. When I worked at Waterloo Records in the early 2000s, vinyl records occupied one aisle of bins. By the time I moved from Austin to Seattle 10 years later, vinyl records took up the entire second room of the store. Stores in Seattle show the same symptoms. I’ve seen rows of CDs turn into rows of vinyl at Everyday Music and Sonic Boom. Spin Cycle Records doesn’t even stock CDs. So what’s happening to all those aluminum discs? Pretty much, the same thing that happened to vinyl. First, labels stopped pressing discs. New releases still show up on CD, but catalog titles have either gone out of print or are offered as print-on-demand. As a result, inventory in stores becomes second-hand. Waterloo used to separate used discs from unopened inventory. That changed in the middle of the aughts. On my last visit to the store, Waterloo reflected the reality of music shops everywhere — used discs outnumbered new ones. Vinyl went through a similar trough in the ’90s. The glut of unwanted LPs meant bargain hunters and adherents to the format could go hunting. 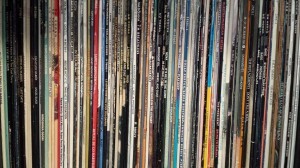 They pillaged the thrift shops and second-hand stores of prime catalog titles, setting up the collector’s market that would eventually inflate the price of vinyl. I’m starting to see signs that CDs have reached that point where prices on used discs are starting to inflate. Inflation has already hit unopened discs. Camelcamelcamel.com tracks Amazon pricing on products over time. Some of the titles on my list have hit the $0.01 mark, but that time has long past. One example: a Nonesuch recording of Philip Glass’ Music in Twelve Parts at one time reached a low of $3.61 for a used copy. It’s currently selling for about $60. An unopened copy sells for $360. What does that mean for the future of the format? Will we see compact discs priced more expensively than they were? CDs are becoming collectibles now, so yes, some titles will be exorbitantly priced. Most will end up in bargain bins. The role of hardware manufacturers is seldom discussed in the fate of formats. Vinyl didn’t go away because the players didn’t completely disappear from electronic stores. Cassette tape decks and VHS players didn’t fare as well. As long as there are CD players made, there will be CDs to play them. I don’t imagine CDs having a resurgence the way vinyl has. The last transition went from one physical format to another physical format. The current transition has gone from physical to ephemeral. If such a renaissance were to occur, perception would need to put focus back on the benefits of the compact disc. Market forces have moved away from the concept of ownership, but that may change when titles start disappearing from people’s streaming libraries. I can picture it — a listener falls in love with an artist’s music. She adds that artist to her streaming library. The artist has a squabble, and the rights to that music come into question. It disappears from the library. The listener scrambles to find that artist elsewhere, but all traces have been scrubbed from all digital vendors. Now what? This scenario is why I have doubled down on physical formats. My collection has actually grown, and bargains are pretty abundant right now. It’s been 10 years since I embarked on building a bedroom studio, and a side effect of that effort has been the acquisition of hardware and software to facilitate the digitizing of vinyl records. Do a Google search on the topic, and you’ll see articles mentioning turntables with built-in pre-amps and USB ports. My record player dates back to 1998, and I had to buy a stereo amplifier to got with it. So my output is a pair of plain old RCA phono jacks on the back of my amplifier labeled REC OUT. What I need, then, is some sort of analog-to-digital converter to capture that output to a file. In 2005, that meant hooking up an RCA phono cord from my stereo to a USB audio interface, which was connected to my laptop. I fired up Sony Sound Forge, hit record, then played each side of the record. Sound Forge let me mark up the resulting capture into regions, which I could split into individual files. In 2015, I would rather use a Y-connector to hook up my stereo to a TASCAM DR-05 digital recorder. Then I move the digitized files from the recorder to my desktop computer — via USB, of course — where I use Sony CD Architect to create a master rip. I could then burn a CD of the album, but instead, I split the master up into tracks when I convert to the lossy CODEC of my choice. The 2015 method is so much faster. But it ain’t cheap either. Audacity is often cited as the software of choice for digitizing vinyl because it’s versatile and, more importantly, free. I used Audacity in the early days of my bedroom studio, but it got shut out once I invested in Sound Forge. Would I recommend Sound Forge if all you’re going to do rip vinyl for recreational playing? No. Sound Forge does, however, come equipped with restoration tools that allow you to filter out pops and clicks and — if you’re ambitious enough — improve the sound quality of your rip. CD Architect, which also comes with Sound Forge, also provides a nice UI to throw together a CD master. The ability to save that master as a single WAV file is incredibly convenient. A new license for Sound Forge can set you back $400. The digital recorder, by comparison, is cheaper. 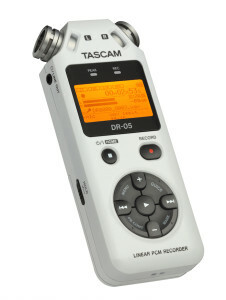 My TASCAM DR-05 cost about $100. I bought it to record my rehearsals, but the ability to connect my stereo amplifier to the line in jack is an added bonus. The recorder comes with a 2GB microSD HC-I card, which is fine if you capture at a 16-bit sample rate. I, however, set mine to capture at an excessively high rate (96 kHz/24-bit), and that fills up quickly. So I upgraded my card to 32 GB. Back when I used my USB audio interface to capture audio, I had to deal with two sets of cords — a USB cord to my computer, a phono cord to the stereo. I also had to fiddle around with levels since the input to my audio interface were unbalanced. The digital recorder does that all for me with fewer cords. With this hands-on method, I can go from captured audio to lossy files within half an hour. A decade ago, it would have taken me twice as long.